The 2015 APM Project Management Awards saw a record-breaking number of entries. 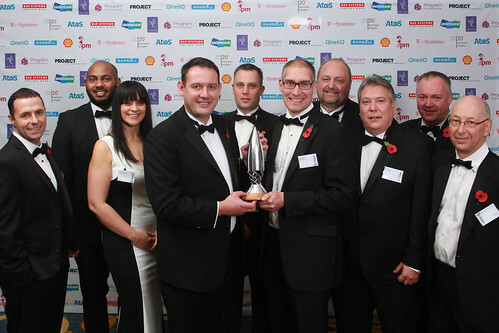 Leading practitioners and ground-breaking projects from a variety of organisations ranging from Crossrail to the National Trust and Sky to the Met Office competed for the highly-coveted APM Awards trophy. On the night there was success for big transformation projects in the manufacturing and defence sector, inspirational educational projects in Uganda and a life-changing initiative to help improve the lives of communities in war-torn Syria.